Note: Open the Link in Default Web Browser of your Android Smartphone. 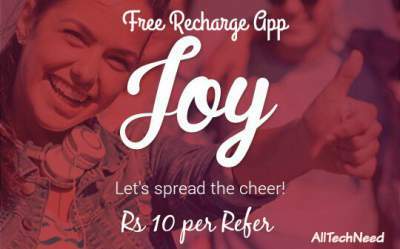 Download Joy App 2. 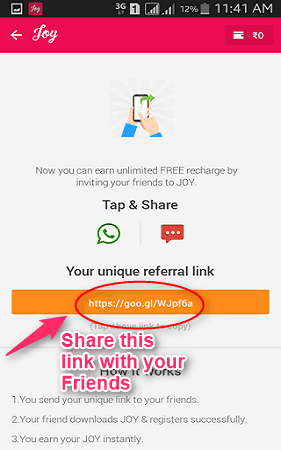 Clicking on above link will redirect you to Playstore, Download and Install Joy Recharge App. 3. Open the App and Register using your Mobile Number. 4. You will Receive a Verification Code on your Number. Just Enter it to Verify your Mobile Number. 5. Now Go to Menu - Refer n Earn Option. You will get a Referral Link. Share that Referral Link with your Friends and tell them to Download Joy Recharge App using that link to Get Free Rs 10 Recharge for Each Friend who download the app using your link. Final Words: Joy Recharge - Free Talktime App is a great app which gives free talktime for referring friends and download apps. I hope Above steps are Clear to you. If Still you face any problem, feel free to Comment Below or Contact us by visiting our Official Facebook Page . 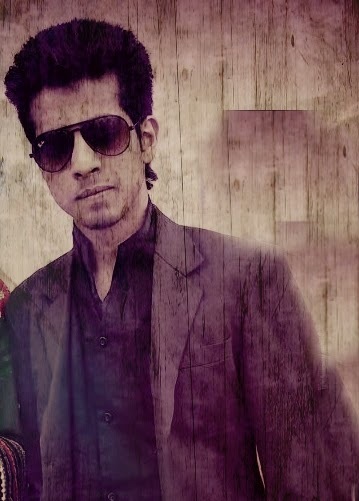 Start Earning Free Talktime using your Android Phone..